Say goodbye to your beer belly by drinking the highest ABV light beers. Ever wonder what the best beer to get drunk on is, that won't alter all your hard work at the gym? This is a list of the highest ABV light beers that aren't typically known for a great taste, and rather a quick and easy way to get tipsy, without having to worry about your waistline. Say goodbye to the potential nightmare of that freshman fifteen or worse, the beer belly. Having too much beer can certainly lead to unwanted bloating, some extra chub, and definitely drinking all of your calories in one sitting. If you're an avid beer drinker, who mostly does so in social situations rather than for the taste, this article is meant for you. You'll thank us later. Natty Daddy beer is one of the top light beverages that have a high alcohol by volume percentage. With an eight percent ABV, this is a great option to get tipsy while still watching your waistline. At 181 calories, this isn't a bad compromise for the high percentage. However, it does have 5 carbs per serving, if this is something you're considering when it comes to a diet. It's not a beer that is known for its quality, but it's known for a quick and easy way to get a bit drunk, relatively fast. And we know that's the true reason you're reading. As one of the highest ABV light beers, you can't go wrong with an option like this. GetDrunkNotFat ranks this with a B+. Another malt liquor option is the Hurricane High Gravity, which is a beer that has an 8.10 percent ABV and 188 calories. This makes it extremely close to the Natty Daddy, and it really relies on the taste preference when it comes to the two, as they cost nearly the same, give or take a few cents. The two also scored similarly on Beer Advocate; which they both, unfortunately, received poor ratings. However, it does come down to the ABV, and Hurricane beats out Naddy Daddy by one percent if this is what you're truly looking for. Described as being a combination of malt and corn, which some sweetness, Natural Ice is another gem that has a high alcohol by volume percent, yet is low in calories. With only 130 calories per 12 ounces, the ABV level is at 5.9 percent, and only four carbs. As one of the highest ABV light beers, this is one of the best options when it comes to an option that will get you drunk, but won't leave you with that dreaded beer belly. If you happen to drink a bunch of beers every weekend, this would be a smarter option for sure. Another beer that's not typically known for its great taste, but definitely known for its low calories and high alcohol, is King Cobra. As one of the highest ABV light beers, this option is very similar to Natural Ice with both its percentage and calories. With an extra percent and only four more calories, King Cobra is a six percent alcohol by volume beer, with only 134 calories per 12 ounces. Again, it comes down to preference here. This beer is described as a full-bodied robust and clean taste. The choice is up to you. Your beer belly is already diminishing. This is an option that has one of the lowest ABV levels among the list, but the calorie count is what makes it so appealing. Just under 100 calories per serving, Pig's Eye Lean Light is one of the lightest beers you can get that has over a four percent ABV. In fact, it has the lowest calorie count on this list. At 4.2 percent alcohol by volume, this is a great beer for those of you who are more concerned about watching what you consume, than getting drunk the fastest. However, 4.2 is still a generous percentage, and won't disappoint you on your nights out! Hurricane Ice is one of the highest ABV light beers, with a whopping 7.5 ABV percent. Once these beers start pushing past the six percent mark, they become solely known for their ability to bring on a buzz, while still maintaining its healthier calorie count. At 175 calories, the beer isn't terrible, and even beats out our first two options on that front. However, it hasn't received warm reviews for its large head, as well as the taste or smell. But hell, if you're having a shotgun competition at your next tailgate, we hardly think that you will be searching for the notes within this beer. Chimay Triple is a blonde ale that is known for its dry and floral taste, with a subtle hint of bitterness. 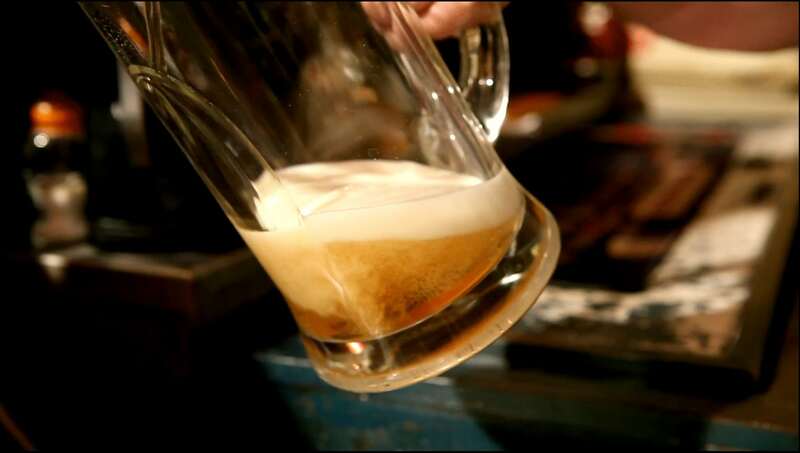 It's also known for its eight percent ABV level, as well as its calories being on the lower side at 202 per 12 ounces. Though it's not the best option among the calories on our list, the beer has a much better rating for its taste, and the sacrifice for a few extra calories seems to be worth it. With a 4.13/5 score on Beer Advocate, this is one of the best tasting options you can choose. Bud Light Platinum surprisingly has a decent ABV percentage, with six percent, and the calorie mark is even better, at 137. As one of the highest ABV light beers, Bud Light Platinum is a cheap beer option that is advertised as "reinventing the category of light beer." Though its taste isn't raved about, it still remains an "okay" beer that is well worth purchasing a case of before a night out. Plus, it only has 4.4 carbs. These last two beers certainly have the highest ABV percentages when it comes to remaining a light beer. At 8.5 percent alcohol by volume, the Greens Tripel Blonde Ale is a Tripel style beer that is brewed in Belgium, Gent, and Lochristi. With not a terrible rating on Beer Advocate, this option has a 3.01 out of five, out of 114 reviews. Plus, there are only 206 calories, even with all of that alcohol. Described as tangy, sweet, and subtly spiced, you can't go wrong with a beer as high in alcohol content as this one. We believe that this is the ultimate option when it comes to the highest ABV light beers. With a whopping 8.5 percent alcohol by volume, only 213 calories, and the highest rating on Beer Advocate that we've seen on this list, 4.25/5, what more could you ask for? Plus, blonde ales go great with a nice plate of chicken. A golden ale with both citrusy and spicy tastes, this beer has been rated by over 8,000 people and raved about by most. With a thick white head and a refreshing aroma, this is the most quality beer you can get that has such a high ABV, plus such a low-calorie mark. Read next: Wine: An I'm Not at All Ashamed "Confession List"
Wine: An I'm Not at All Ashamed "Confession List"